I am selling this and some more not in the pics. I am the original owner and this is very lightly used. There are only very small scratches, my 12MP camera couldn't pick them up; all you can see is dust/reflections in the pix. All functions work as they should. As title says, has 5.50 GEN-D3 installed. Also, the UMD drive has been removed, making the device much lighter. Was planning to superglue the door shut for good but didn't; so you can reinstall if you have a separate drive/tray. Last edited by KrzykidKrisB; 10-18-2010 at 01:59 PM. Last edited by Jose Burrito Gu; 10-08-2010 at 02:16 AM. no scam here, i tried ebay but got taken down. my 5 year old ebay account is the same, krzykidkrisb, rep w/ 100% pos, 68 comments as both buyer and seller, check it out! system is almost flawless, no liessss; you can see that my last purchase was a psp housing, it was the blue one. 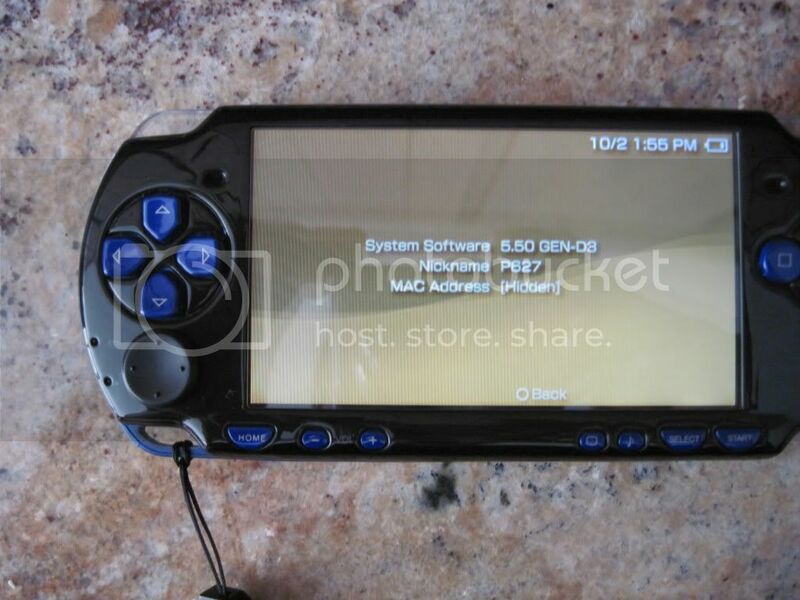 this psp is on craigslist too...absolutly no replies from that, this forum or pspHacks forum...???? and i dont get it burrito, is there something wrong with the system or is it that you and others think this is a scam? ill post more and help out on the forums if i will get some offers!! All of this is already packaged very well and ready to ship wherever or i will meet up within 2 hours drive. it needs a good home; i spent a lot of time on it, and it never gets used! EDIT : well best offer so far is $5 bucks! Last edited by KrzykidKrisB; 10-08-2010 at 05:04 AM. Last edited by Maysam; 10-08-2010 at 01:09 AM. well, i feel most comfortable selling it here to people who know what they are doing. So if that means I have to be more active here than i will do so and re-post at a later time. EDIT : anyoneeeee!!!?????!?!? yes no maybe so? Last edited by KrzykidKrisB; 10-12-2010 at 01:58 AM. does anyone know what 200 or best offer means? how about 150 or best offer? I see other people interested in the other posts w/o pics or anything haha....whatevvs you're missing out! If you really want to make buyers interested try making a demo video of the psp in action with a full 360 view of it. I sold a GoW PSP w/ red triggers and a custom GoW housing for $320 on ebay. The more detail and view the beter. I'm interested. But I ain't got a lot of money on me right now. How's fifty bucks? 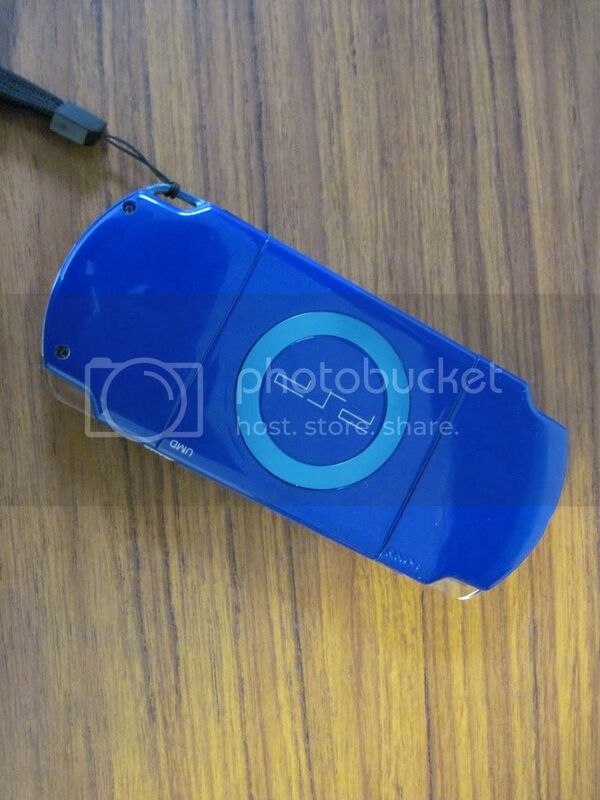 Edit: I also have a modded PSP 1000 willing to trade if desired. Last edited by steamwolf; 11-05-2010 at 10:55 PM. Thank you for looking and being interested in my psp! $50 dollars is a bit low for everything I'm offering, but I am willing to give this to you if you purchase me something that's $93, as the reason I want to sell my psp is to purchase an item on NewEgg.com; an AMD Phenom X2 555 Black Edition dual core cpu. I'd post the link but I need 15 posts, and my previous account was banned for some reason? If you don't feel like purchasing it and would like to send $93 in any way that you feel comfortable with(money order, check, paypal, cash, etc. - but I will wait the payment has legitimized), that's cool too. 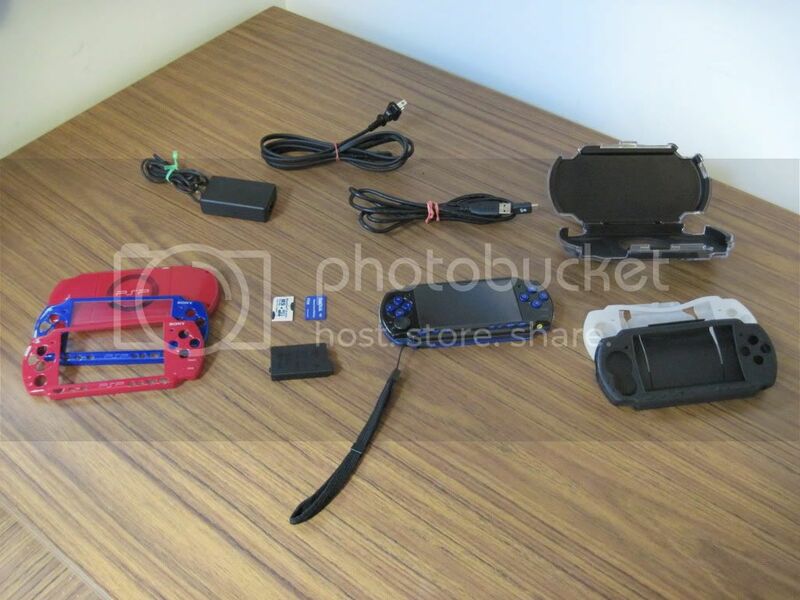 I know its a bit higher than what you are willing to pay for, but this package is really awesome and I'm sure you'll enjoy this psp along with the extras. It is truly unique; it looks, feels, and plays great. It its light weight yet solid; small enough to fit in mid sized pockets, and large enough to play awesome games and watch movies. You could wear it around your neck and barely feel the weight, only the size of the device has its presence. Other than having a smart phone with a decent processor, such as the iphone, this device is the next best. Granted, using any psp that I've owned, the web browsing is not great. Compared to such phones as the nokia n900, which i have tested myself, the loading time doesn't fall too far behind while the phone is on 3g and the psp is on a nearby wifi signal. But there is no comparison to the iphone. As far as the media and entertainment aspects are concerned, no other device is in comparison. And the fact that the using an IR Shell makes using productivity homebrew apps simple and quick, there is not another device that can handle both tasks as balanced and efficiently. The only downfall is the internet usage and browsing. Skype is easy to use and works well which is another great function, although I personally don't find much use for it. I've digressed and apologize. I believe that this is a good trade/offer. I guarantee your satisfaction for some time with what you will get for the price. Got pics you can post?